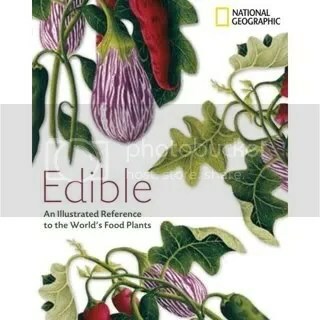 Contributor to Edible: The Illustrated Guide to the World’s Food Plants to be published in late 2008 in Australia and U.S. When we go grocery shopping, many of us take for granted the sheer variety of fresh foods that are available to us. The produce section has dozens-if not hundreds-of different species on display, most of them perfectly formed and virtually unblemished. The colorful fruits and vegetables may come from all corners of the globe: grapes from Chile, kiwi fruit from New Zealand, and mangoes from India. This global cornucopia doesn’t end when you leave the produce section, either. The coffees, spices and chocolates were likely grown in places thousands of kilometers from where you stand with your shopping basket. This is an agricultural and culinary utopia that our ancestors only dreamed about. How these foods are grown and delivered to us is an amazing feat of technology and transportation, but our ability and desire to have this vast array of food is not without consequences. Some, like environmental concerns and the exploitation of some workers in the developing world, are of increasing concern and importance, while other are less significant yet certainly noticeable. How we deal with the consequences of our globalized food system shapes much of our modern food culture as we try to find the right balance between our desire for variety and the impact it has on our planet and all who inhabit it…. It’s lunch hour and payday was so long ago your budget is tighter than the jeans you wore in high school. Dumpling King, at the entrance to Chinatown on Grote Street, takes the crown for financially responsible feasting. Three of my starving student friends and I headed there on a recent Tuesday, and by noon, the place was already packed. We grabbed menus to study, and quickly learned nothing on it would set us back more than $8.80. Once seated, we decided to share several plates and ordered Fried Pork Dumplings ($6.80 for a whopping fifteen), Steamed Pork Mini Buns ($6.00), Spring Onion Pancake ($2.50), Fried Ribs in Garlic Sauce ($5.00) and Red Bean Fried Pancake ($4.00). Tea is free and comes in a cute red thermos which is refilled happily and often. The steaming hot dumplings were fried perfectly on one side, still steamed on the other, and the pork filling was substantial. The same filling occupied the steamed mini buns which were tender and piping hot. The spring onion pancake was light and crisp, although I would have liked more onion. The real treat was the Red Bean Pancake which was a pastry filled with a lightly sweet, creamy red bean paste. We left, completely stuffed and quite satisfied. Dumpling King also features thirty-five different noodle and rice dishes on its Shanghai inspired menu. It’s open seven days 10:30 a.m. until late. Easy on the wallet, but those jeans may have gotten just a little tighter. I live in Woop Woop, culinarily speaking. It’s the area north of Gepps Cross and south of Tanunda where usually the only restaurant meals you can get are ordered at a counter, and the premises quite often house a smoke-filled, pokie-punching purgatory. The menu options are typically burgers and chips, schnitzel and chips, fish and chips and if the place is really flash, salt and pepper squid and chips. So imagine my delight when I caught wind of a spot in Gawler where I could order from a menu while seated, have a plate delivered to my table without something fried on it, and was free of those infernal money-eating machines. The way I wax on, you would think I made haste getting there. I did not. However, overseas company was a catalyst for a recent trip to the Wheatsheaf Inn. Knowing how things work in country towns, I called ahead and learned it was only open Thursday through Sunday, dinner being served the first three nights, lunch on Friday and Sunday. I left a message with our booking for three, and with anxious anticipation hoped the experience would be all I imagined. We were charmed by the historic stone building the moment we drove up. The Wheatsheaf is an old stone hotel built in 1849 that sits unassumingly along the road to Lyndoch. Once through the front door, you’re greeted by a bright and cozy wood beamed room, the bar directly in front of you and a log fire crackling in the fireplace on the far right hand side. To the left, there is a comfy sitting area in case you must wait for your table. This night it was chef and owner Kate Harbison doing the welcoming as she was running the whole show: kitchen, bar and dining room with some help from her stepson in the kitchen and a good friend who would periodically stoke the fire and talk to guests while Kate was in the back overseeing meals. She immediately offered us drinks, directed us to a table by the fireplace, handed us menus, and let us know the soup of the day was pea and ham. We were already starting to feel at home. Kate spent a few moments chatting with a group at the bar, and then was back with a basket of bread, ready to take our order. We had only made it through the entrées which included Caesar salad ($12), a three cheese soufflé ($12) and six kinds of oysters ($12-14 per half dozen, $22-25 per dozen). The soufflé was a no-brainer, which my husband and I decided to share, and our friend ordered oysters natural. The soufflé, which actually turned out to be four cheeses, let us know right away with its heavenly smell that it contained bleu and brie. Not a typical soufflé, it was turned out on a plate with balsamic pears and quince jelly. The gruyere and parmesan balanced the richness of the two other cheeses, as did the almost smoky flavor of the pears and the sweetness of the jelly. The oysters were exactly what they should be: the simple taste of the sea. As Kate’s services were stretched a bit thin that night (a waitress was on holiday in Queensland we were told), we had a bit of time to wait before she came back to take our dinner order. We spent it sipping wine, and admiring the paintings on the walls, which were done by Kate’s husband, artist George Aldridge. The Wheatsheaf, which they bought and remodeled in 2003, also serves as a gallery for him. One painting in particular, a portrait of an older woman in a vineyard that covered most of one wall, caught our friend’s eye. It turned out to be a portrait of Valmai Hankel, who I learned is a South Australian treasure when it comes to wine literature and history. It wasn’t too long before Kate emerged from the kitchen to take our dinner order. The menu has five seafood offerings and six from the grill. Salt and pepper squid, that ubiquitous pub favorite is on there, and I gave my husband a stern look when he took a fancy to it. Kate sticks to a fairly conservative menu since that is what her clientele, who are mostly locals, prefer, but she says she’s able to exercise her creativity with specials from time to time. We settled upon the night’s special, seafood paella ($25) as well as the roasted Barossa Muscovy duck with Muscat sauce ($25) and the Cattle Grid Grill, a true carnivore’s delight with quail, kangaroo, venison and beef sausage ($25). The duck was cooked medium rare, not the least bit oily, and every bite was more tender and flavorful than the last. The grill was a very nice surprise. Never having had a kangaroo or venison steak before, I expected them to taste gamey. Instead they were moist, tender and tasted just slightly different than a regular beef steak. The quail was a delicate compliment to the heavier meats, and the beef sausage added a bit of spice to the plate. Both the duck and grill were served with roasted potato and a pot of roasted pumpkin, eggplant and zucchini. The seafood paella was gorgeous to behold; a risotto cooked al dente in fish stock, and topped with giant prawns, Atlantic salmon and mussels. The wine selection reflects Kate’s education in winemaking when she took a break after nearly twenty years of being a chef in the late ‘90s. She likes to feature smaller producers, mostly from the Barossa Valley, whose wines you won’t find at the supermarket or bottle shop. Choosing one is like being at a friend’s home. We were invited to browse several bottles perched on a windowsill, along the bar and nestled in a wine rack. Our first bottle was a $29 bottle of Torbreck’s Woodcutter Shiraz, a fine opening act, but the star of the show was the Thorn-Clarke Shotfire Ridge Quartage($55). The quartage is a traditional Bordeaux blend but made with a Barossa Valley boldness which made it a beautiful complement to the duck and the Cattle Grid Grill. Despite a few minor blips in service, which will undoubtedly happen when one plays host, wait staff and chef like Kate did, our evening was as comfortable and enjoyable as dining in the home of a friend who also happens to be a wonderful cook. I can not wait to go back and try the rabbit special that Kate hinted she may serve in the near future, as well as take in the live music featured in the garden during the summer. My only regret about dining at the Wheatsheaf Inn is that it took me so long to discover it. For me, there is little else more satisfying than going out for breakfast on a weekend morning. I love the leisure of leafing through the newspaper while sipping coffee and waiting for my meal, most usually pancakes with two eggs sunny side up. I refuse to acknowledge while looking down at those runny yolks, set like two orange pupils against the white of an eye, that I could be staring death– or at least an incredibly unpleasant afternoon in the bathroom– in the face. My chances of getting sick are at least doubled if I indulge in eggs benedict thanks to the runny yolks in the poached eggs and uncooked yolks in the hollandaise sauce. But according to some of the latest figures, about one of every twenty-thousand eggs in the United States is carrying the salmonella enteritidis bacteria. Most people who get salmonella poisoning will experience diarrhea and vomiting, but it can be fatal, particularly for young children, the elderly or those with compromised immune systems. The chief causes of salmonella poisoning are poor refrigeration, eating raw or improperly cooked eggs, and, perhaps more importantly, from laying hens who become infected with the salmonella bacteria because of conditions at some large scale farms. The first two causes and how to prevent them can be summed up quite neatly. Eggs need to be stored at temperatures below 45°F/7°C; this includes at the farm, while in transport, at the store, and at home. The higher the temperature, the faster any salmonella bacteria that may be in egg will multiply. Eggs also need to be cooked through to a certain temperature to kill the bacteria. Recommendations vary somewhat and range from cooking for five minutes at 140°F/60°C or to 160°F/70°C for one minute, or to cook the egg to a uniform temperature of 162°F/72°C. Unfortunately, these cooking recommendations rule out any egg dishes with runny yolks, and things like hollandaise sauce, mayonnaise, meringues, or any dish that uses raw eggs. Journalist and author of Spoiled: The Dangerous Truth About a Food Chain Gone Haywire, Nicols Fox says those recommendations render one hundred of the one hundred and twenty-three recipes in a master French cook book obsolete. There are other options for consumers and food manufacturers to ensure safer, if not completely safe, eggs. Eggs can now be pasteurized in the shell and are sold that way, although at a greater cost than non-pasteurized eggs. Many large scale producers that use eggs, like restaurants, bakers and other manufacturers, frequently use liquid, frozen or dried egg whites that have also been pasteurized. These products can be substituted in recipes that call for fresh eggs, but this can have an effect on the eggs’ foaming or emulsifying power, and it does change the flavor. Home cooks and food producers are the last line of defense when it comes to preventing salmonella poisoning because of the uncertainty about the safety of the product at its source-the farm. Salmonella is passed onto eggs by the ovaries of infected laying hens. The United States Department of Agriculture estimates that 16.3% of chickens were contaminated with salmonella in 2005, an increase from 2000. Intensive farming practices, or factory farms, can be inadvertent facilitators of the spread of salmonella. According to Fox, the hens at a commercial farm are so genetically similar, that they are all susceptible to the same disease. They are also given antibiotics that can actually lead to antibiotic resistance to certain strains of disease. Some chicken feed even contains ground up animal protein, including other chickens, which may further spread bacteria. Rodents are another problem, spreading disease by running in the troughs and conveyer belts that feed the chickens, then running from hen house to hen house. Unfortunately, the USDA lacks the authority to crack down on producers with high incidences of salmonella. However, many farms have voluntarily worked to reduce disease by improving feed quality and the hygiene in poultry houses, controlling rodents, limiting access to visitors, frequent testing for contamination, and diverting contaminated eggs to be pasteurized. This has helped reduce the incidence of salmonella from one in ten-thousand eggs in the early 1990s, to one in twenty-thousand eggs today. Egg producers in Britain have found that vaccinating chickens has led to a considerable decline in salmonella, and what has been found is usually on the egg shell rather than in the egg itself. This is not to say consumers should avoid eggs from large-scale farms. Many who have turned to organic and free-range eggs in an effort to avoid salmonella may be surprised to learn that conventionally raised chickens have a smaller incidence of infection than free-range birds. That’s due in part to the fact that antibiotics are not used on organic chickens and free-range birds are allowed outside where they are more susceptible to pathogens. As with eggs from conventional birds, the onus is on the consumers to protect themselves from contaminated products. Until we can be guaranteed salmonella-free eggs, consumers will be forced to make a choice. They can abstain from eating raw or undercooked eggs, or use pasteurized eggs and egg products, which will have an effect on the kinds of egg dishes they eat and how those dishes will taste, or they can choose to accept the risks associated with eating eggs that are not fully cooked. When I consider that plate with an English muffin topped with ham and a poached egg bathed in a perfectly creamy hollandaise sauce, it’s a risk I’m willing to take. Paula Kurtzweil, “Safer eggs: laying the groundwork,” FDA Consumer, Sept-Oct 1998 [magazine on-line]; accessed 27 July 2006; available from http://web3.infotrac.galegroup.com.proxy.library.adelaide. edu.au/itw/infomark/365/145/115420278w3/purl=rc1_EAIM_0_A21169645&dyn=3!xrn_11_0_A21169645?sw_aep=Adelaide. Harold McGee, On Food and Cooking: The Science and Lore of the Kitchen (New York and London: Scribner, 2004), 82. Karen Martin, “Milk, Dairy Foods, and Eggs,” lecture to Food and Wine Technology, University of Adelaide, Adelaide Australia, 19 July 2007. Jim Motavallie, “Nicols Fox: Investigating a Food Supply Gone Haywire-Author Discusses E-coli and Other Food-Borne Pathogens-Interview,” E: The Environmental Magazine, May-June 1998 [magazine on-line]; accessed 27 July 2006; available from http://www.findarticles.com/p/articles/mi_m1594/is_n3_v9/ ai_20581500. Marian Burros, “More Salmonella is Reported in Chickens,” The New York Times, 8 Mar. 2006 [newspaper on-line]; accessed 27 July 2006; available from http://www.nytimes.com/2006/03/08/ dining/08well.html?ex=1154145600&en=00ba85b5633a34ba&ei=5070. Motavallie, E: The Environmental Magazine. Ron Meijerhof, “Seeking Out Salmonella,” The Poultry Site, on-line, accessed 27 July 2006; available from http://www.thepoultrysite.com/FeaturedArticle/FATopic.asp?AREA=HealthAndWelfare &Display=580. Agra Europe, “U.K. Beats Salmonella in Eggs,” 26 March 2004 [magazine on-line]; accessed 27 July 2006; available from http://web3.infotrac.galegroup.com.proxy.library.adelaide.edu.au/itw/infomark/365 /145/115420278w3/purl=rc1_EAIM_0_A114857679&dyn=6!xrn_15_0_A114857679?sw_aep=adelaide. Dennis Avery, “The Hidden Dangers in Organic Food,” The Center For Global Food Issues [article on-line]; accessed 27 July 2006; available from http://www.cgfi.org/materials/articles/2002/jun_25_02.htm. Shenghui Cui et al., “Prevalence and Antimicrobial Resistance of Campylobacter spp. and Salmonella Serovars in Organic Chickens from Maryland Retail Stores,” Applied and Environmental Microbiology 7 (2005): [journal on-line]; accessed 27 July 2006; available from http://aem.asm.org/cgi/content/full/71/7/ 4108?maxtoshow=&HITS=10&hits=10&RESULTFORMAT=&author1=Cui%2C+S&titleabstract=salmonella&searchid=1&FIRSTINDEX=0&resourcetype=HWCIT. A family in suburban America sits down to a dinner which was lovingly prepared by an impeccably dressed mother. The father, who has recently returned home from a day at the office, holds court as the children talk about their day which usually includes a problem with a teacher, friend or neighbor. The father dispenses wise advice to his children, and everyone leaves the table satisfied both physically and emotionally. It’s a classic scene we’ve viewed numerous times on television shows like Leave It To Beaver, The Brady Bunch and The Cosby Show, and it is an image that is frequently mocked because it is far from reality for most people. The lamentations over the demise of the family meal are frequently based on this idealized model, but as Alex McIntosh points out, this is not a true reflection of the family meal throughout history, based upon what little we actually know and what is theorized. He also indicates that the implied functions of the family meal can be instituted through other activities. Although there is evidence that some families are sharing meals together less frequently, it does not follow that the family meal is becoming less important; in fact, it may be quite the opposite. The current model of the family meal is the product of western industrialized society. But this model is not the norm for many families as it is based upon middle class institutions. It does not take into account families in which one or both parents do shift work, or hold more than one job to make ends meet. Nor does it include some wealthy families in which one or both parents work long hours to maintain the standard of living to which the family has grown accustomed. McIntosh points out that the current notions of the family meal are an invention of the nineteenth century, after the start of the industrial revolution. Prior to that, the importance of families dining together is debatable. There is evidence that women and children had no special time or place in which to take a meal, and even when the family did take a meal together there was not a special room set aside for it, and the mother spent much of her time serving food rather than eating with the family. In the Victorian era, children did not eat with adults until they had learned proper table manners. It wasn’t until the early and mid twentieth century that there was a renewed focus on the importance of family meals when it came to shaping a child’s behavior. If there was not a great emphasis on eating meals together as a family, how did children learn the things associated with mealtime like manners, socialization and a sense of family cohesiveness? McIntosh argues they learned these through other family activities as well as meals. Take for instance the child’s tea party in which children learn manners and polite conversation through play. This would have been a viable option for teaching children manners in the Victorian era when they were either banished from the table or were to be seen but not heard. Family cohesiveness can be demonstrated through other rituals like church-going and family recreation night as mentioned in a study by Bossard and Boll. There is another side to the argument that the function of family meals is for socialization and family unity. Some families place little importance on conversation during the meal, although this is most common in lower class families in the west and in some third world countries. McIntosh also cites two different studies in which respondents claim family conflict at the dinner table made mealtimes extremely unpleasant, although some had to be prodded into giving that information, which could be further proof that it is hard to give up those idealized notions of a happy and harmonious family meal. In the United States, there is a campaign currently underway to get American families back to the dinner table. It cites a study that children in families who eat together more often are less likely to smoke and do drugs. While having dinner together is not a bad idea, it is likely that the problems associated with families who do not eat together go much deeper, and show an inability to communicate in any setting, not just at the table. In fact, trying to force a family meal based upon idealized notions of what that should be, could lead to more frustration. It is also possible that the demise of the family meal is exaggerated by the news media. It makes a good story, is easily promotable and sets the stage for a lively debate between pundits. But in a British study from the 1990s, more than half of the children surveyed said they shared a meal with their families every day and that it was highly valued by both parents and children. The authors do point out television and movies portray eating as a solitary activity more and more often, a sharp contrast to their study and the golden age of television when father knew best. Perhaps those media images have been projected onto reality, and those who are mourning the demise of the family meal, are basing it upon an ideal that rarely, if ever, existed. Alex McIntosh, “The Family Meal and its Significance in Global Times,” In Food in Global History, ed. Raymond Grew (Boulder: Westview Press, 1999), 220. Libby Quaid, “Supermarkets Push the Family Meal as Anti-Drug Measure,” Lexington Herald-Leader, 9 May 2006 [newspaper on-line]; accessed 23 May, 2006; available from http://www.kentucky.com/ mld/kentucky/living/health/14533661.htm. Roger Dickinson and Simon Leader, “Ask the Family,” In Consuming Passions: Food in the Age of Anxiety, eds. Sian Griffiths and Jennifer Wallace (Manchester: Mandolin, 1998), 127.